The School of Chi Energy has developed and are now teaching to Students the world’s most powerful energy cultivation exercises for health and healing. Students that perform these specially designed energy exercises on a daily basis, transform their bodies into smoothly running generators, as compared to the battery boosting methods most systems teach. The first energy exercise that a Student learns called the Nerve Fiber Building (NFB) Exercise actually helps that Student to grow and strengthen the size of their own body’s nerve fibers. Your body’s nerve fibers are what send all the electrical communicative messages around your body or even outside the body. With enough practice performing these specific low aerobic energy exercises, a Student can start actually feeling the buildup of their own bio-energy in a very real, physical & tangible way. From there we show Students how to affect something outside their own body area, by using this buildup of energy they can get from doing these particular energy exercises. At the School, we also show Students how to use this buildup of energy in lots of different constructive ways. Not only are Students shown healing techniques, so that they can heal their own injuries or sicknesses, but how to do that for others too. In the First Year of Chi Training, a Student learns how to lower or raise their own inner body temperature by ten or more degrees. This is an important technique to learn as your inner energy begins to get much stronger and hotter the longer you cultivate your energy. In a strong energy cultivation method like this one, it is essential to learn specific techniques like being able to cool your own temperature on demand, so you can avoid the problems most people go thru when building up large amounts of chi energy. Cultivating large amounts of energy without doing it in the right way can cause your body problems which may include body pains, emotional instability or headaches, as well as a lot of other issues and come about when your inner temperature stays too hot for too long inside your body. Most energy systems do not include temperature control with their teachings and if that energy system can actually cultivate energy well, it often results in their Students going thru many unwanted bad side effects. After many years of study concerning how energy actually affects your body, we have developed the proper way to send large amounts of chi energy safely through your body or that of others in order to receive the best benefits. We have learned from hands on experience the different problems a person runs into trying to cultivate large amounts of energy. Students learn from our many mistakes over the years and how we got around them, so that they can reach levels in training that a lot of people would think would be impossible to reach, especially in only a few years of training. If you are going thru life wishing you had a way to get more usable good feeling energy into it, then you should check out the School of Chi Energy, now in it’s seventh year of operation and see how a scientific approach to building up large amounts of energy in your body would benefit you. It doesn’t take long practicing this method before you can see the big difference between this system and others that do things much differently. 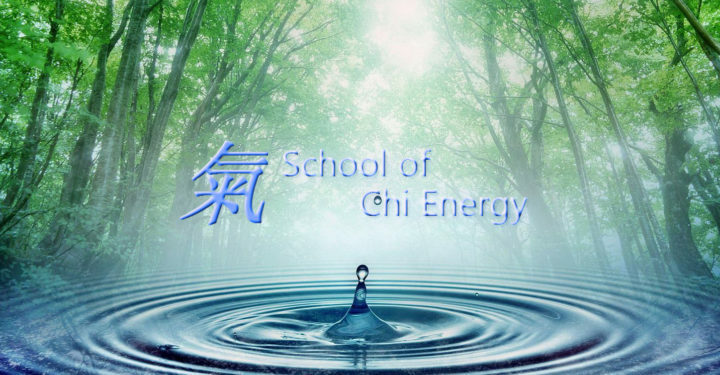 Go to the School of Chi Energy and see if our Energy System could be what you are looking for. Now, after 40 years of training successfully thousands of different students from around the world in the best ways to reach the higher levels in energy work, you should put our expertise to the test and see if we can be of help for you too. As always, we provide a non-hassle money back guarantee (see website for guarantee), so you don’t have to risk any of your money trying to see if our Energy System and our super energy exercises that build up your body’s nerve fiber system will work for you.